Another game from the archive that no longer is suitable for modern browsers, this was a true 3D breakout game, many are labeled as 3D but were just using 3D graphics, the game play itself was still 2D. This game was fairly fun but it was difficult to see where the ball was in the space (the red dots on the walls were to help with this, and the yellow, red and green dots indicated where a ball was. My wife really liked this game so maybe I’ll port it to mobile in the future. 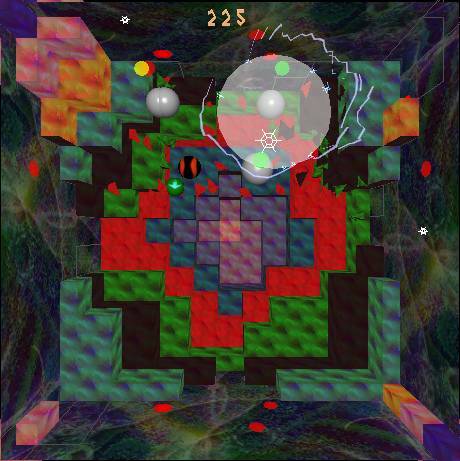 The game play was modified so that traditionally good power-ups were often disadvantages.